HTC is a company in the process of reinventing itself. Once known as an innovator in the global smartphone business, it has been shifting much of its resources into developing virtual reality (VR) products through its Vive brand. But this is still a small market, with all but the most eager consumers balking at the high prices for the necessary hardware. Now HTC hopes the business-to-business play is where the action is. Last week, HTC released its Vive Focus VR kit, which had only been available in China, to an additional 37 countries. But this isn't some way to grab revenue from Black Friday sales, as HTC is only catering to enterprise customers. Along with the $600 Vive headset, the company will also launch an app for virtual collaboration, allowing employees in different locations to meet in a virtual environment. The Vive Focus is a standalone headset, meaning that it doesn't need to be tethered to a PC, console or a smartphone to work, making it more attractive to businesses. But CCS Insight is also seeing growing interest in this type of headset from consumers (see Market Forecast: Virtual and Augmented Reality Devices, Worldwide, 2018-2022). Smartphone-based VR headsets offer a limited experience, while tethered dedicated VR headsets need external sensors, expensive PCs and many cables. Standalone VR headsets solve many of these problems and are attractive to casual as well as dedicated gamers. 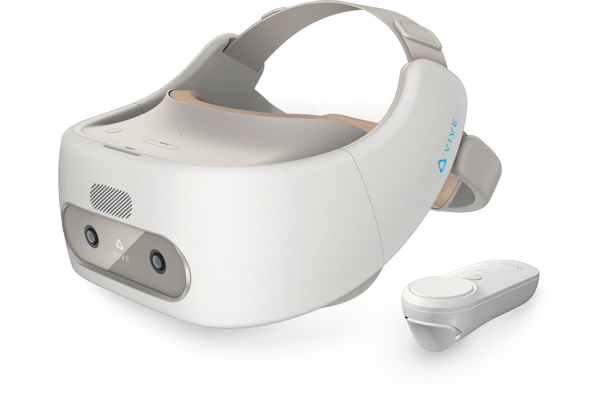 HTC claims that the Vive Focus headset can deliver "enterprise-grade VR" experiences, with support for simulated scenarios, "expansive" multiuser environments, collaborative design efforts and enhanced training. Vive provides ongoing services to business users of the Vive Focus and Vive Pro, another of its VR headsets, but one that's powered by highly-specified PCs. At a cost starting at $200 per user, Vive offers software as well as support for its hardware. We've previously said that companies that are early to implement VR for productivity can win an advantage, understanding how to use the technology as it advances. VR is becoming a new type of computer interface and businesses would be wise to begin warming up to its potential. Other big VR companies are also investing in the enterprise segment. In September 2018, Facebook's Oculus signed a deal with Walmart to roll out 17,000 of its standalone VR headsets for training Walmart employees (see Walmart to Deploy Oculus Headsets in US Stores). Costing $200, the Oculus Go is a third of the price of the Vive Focus. HTC recognizes it can't match Facebook's prices and scale, so it's focussing on delivering superior enterprise software, tools and service to stay competitive. We believe that "VR as a service" will become an important business model for the leading VR headset companies to generate revenue. Many enterprises are now looking to test the waters of VR, and we expect this to spark a fierce battle between HTC and Oculus.